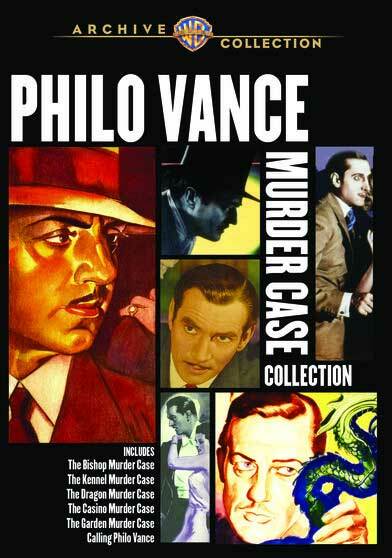 The dilettante detective stylishly sleuths his way through some of his most famous cases in this 3-Disc, 6-Film Collection. And a veritable rogue’s gallery of golden age “gentlemen actors” all take a crack at Philo, including William Powell, Warren William and Basil Rathbone. Classic cinephiles should keep their eyes on the credits for contributions by luminaries the likes of Michael Curtiz, Mary Astor, Rosalind Russell and more! Includes: The Bishop Murder Case (1930), The Kennel Murder Case (1933), The Dragon Murder Case (1934), The Casino Murder Case (1935), The Garden Murder Case (1936), Calling Philo Vance (1940).